Is V6 II working on HSS with Godox AD600 bm? Hi guys! Is any of you using V6 II with Godox AD 600bm or Neewer AD600 on HSS? Hi Nicolee, I bought a godox AD600 with X1N. With the X1N ontop of the V6II, it will not fire. I had to put a sync cable on it. Will not go into HSS, if you do there will be banding. But max sync speed can be achieved. Full power falsh at 1/8000 and any f stop give you no banding at all. @Nicolae, not sure if the BM version offers HSS natively? Check if you can turn on HSS on the strobe. 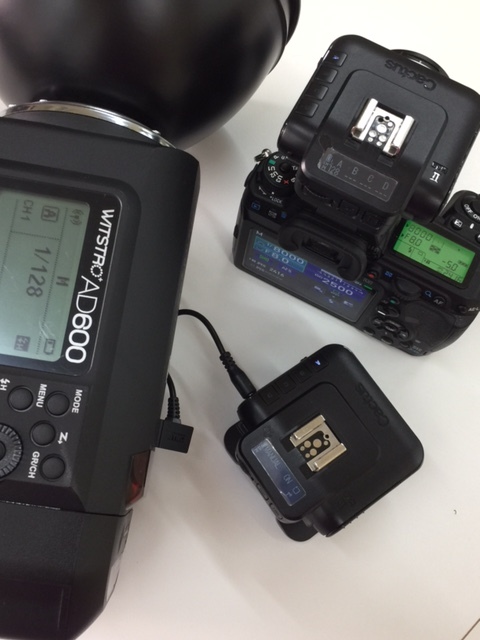 We won't be able to "enable" an AD600 profile at such - because this strobe does not have a hot shoe connection, so the V6 II cannot connect with it in that sense. Simply connect the units via sync cord, AD600's flash duration is sufficiently long, more than 1/100s at t0.1, so you don't even need to connect the X1N transmitter to any Cactus units, other than holding it in your hand to control its power output. Hi Nicolee, I bought a godox AD600 with X1N. With the X1N ontop of the V6II, it will not fire. Have you set up the flash system to be "Nikon"? The "camera system" should be "Pentax" in your case, but the "flash system" should be set to "Nikon" for the X1N. Many other shooters have success with this trigger piggybacking approach. Possibly, the X1N is hard to please, not sure. I had to put a sync cable on it. Will not go into HSS, if you do there will be banding. But max sync speed can be achieved. It looks like you are essentially using "Hyper Sync", i.e., relying on a long pulse, rather than actually using HSS-type long bursts. There are Godox strobes that can be put into HSS-mode manually. I forget which they are and which buttons you need to press (there is at least one model where you have to press two buttons simultaneously). If the AD600 supports manual HSS activation, you should be able to get true HSS support. Godox AD600 in M mode, HSS turned on, V6 II (RX) connected via sync cable, MANUAL flash auto-detected. Note: I did not even include Godox's own transmitter for setting HSS up. And here's an image from the test, at 1/8000s F8.0. Shoot any questions you may have. Excellent. I have placed an order for another V6II and a cable- I hope there will be no banding across all the shutter speed. Will it work with X1c/n on top of cactus ? 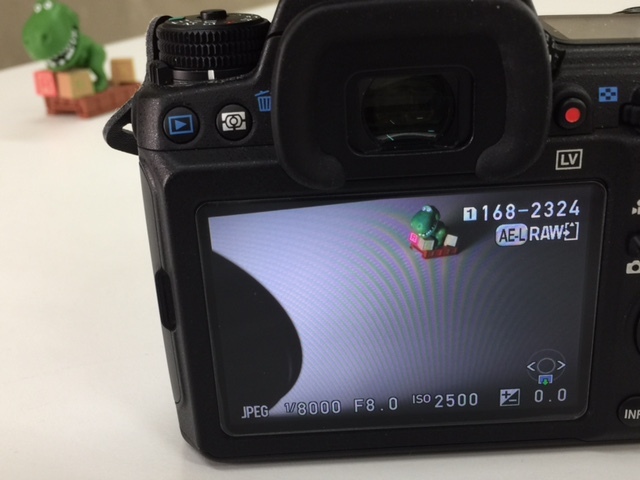 I just did a test on the X-T1 but no luck. Again, I want to stress that such a daisy chain setup is not recommended as it is not how the V6 II transceiver was designed to function. Allan, I think another unit of V6II would solve your problem? hey guys, i dont want to open a new topic for this. i need to know if the cactus v6 ii is working with the godox ad600 bm and godox 360 mark 1. special about this two strobes is, that they have no TTL but HSS. so i´ve heard that cactus comunicates over TTL, but this two strobes not have TTL. so will this be working or not? Did you see my setup image just a few post up? Despite the strobe is not TTL, but it has HSS function, at least on the AD600. AD360 Mark I, does it have HSS function that you can switch on? If it does not that you will have to find out its flash duration times. It must be 1/100s or longer at t0.1. thanx for your fast reply! yes i saw your picture, but as a newbie i thought any flash must have ttl on board to work with the cactus and the ad600 has one modell with ttl and one without. i want to buy the modell without, because it is cheaper. so if you say the modell without ttl is working fine with hss and the fuji x-t2, i will buy 2 cactus v6 and a sync cable and hopefully will be happy with that. for the ad360: if i want work with one ad600bm and two ad360 at the same time, do i need 4 cactus v6 ii or only 2 for the ad600? maybe i can use the normal godox transmitter mounted on the cactus to controll at least the two ad360? Well, the AD600 we have is the TTL version and it has HSS. We don't have the Manual version so we can't be sure. You better check with Godox first if HSS is available on the M version. Also you need two V6 II, not the original V6. ...for the ad360: if i want work with one ad600bm and two ad360 at the same time, do i need 4 cactus v6 ii or only 2 for the ad600? maybe i can use the normal godox transmitter mounted on the cactus to controll at least the two ad360? Yes, the general rule applies, one V6 II transceiver per device, camera / flash. If you are getting the AD360-II, you will be abl eot mount it directly on the V6 II and controls its power and zoom directly from V6 II TX. Using Godox's own transmitter may also work but not recommended as it is not how the V6 II was designed to function. While Cactus may not recommend daisy chaining an alternative trigger on top of a Cactus trigger, why pay extra $$$ for something you don't need. Using a Godox FT-16 on top of a Cactus V6 II trigger it means that I can trigger my Godox flashes in HSS mode. In this use case, the V6 II is used purely for enabling HSS. The Godox trigger continues to set the power levels for the Godox flashes. If I didn't want HSS, I wouldn't buy/use the Cactus trigger at all. In other words, if you have Godox triggers for the AD600 definitely don't buy additional Cactus triggers (for each and every device) until you test if you actually need it. Buy a single Cactus V6 II if it has been confirmed it enables HSS mode and you intend to use HSS. By all means spend your own money but why buy something you don't need as well as have to mount an extra device. By the way, I use a Pentax K3 with Godox Ving 850 flashes and the FT-16 trigger. I mount a single Cactus V6 II on the camera hotshoe and place the FT-16 trigger on the Cactus V6 II. The FT-16 sets the power levels of the Godox Ving 850's.